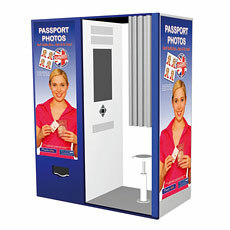 Photo Me, an international provider of mobile photo booths, decided to go with the theme: "Instantly Yours". Though, currently hosted on photo-me.com and photo-me.co.uk, it certain.ly misses photome.com and photome.co.uk. Of course, photo.me would be the best, but it is not yet released by the registry. Time to think and acquire some serious brand, maybe? Although, "Photo-Me" is visible in many crowded places, railway, tube, bus stations, it is not associated with on-line services and sure.ly misses the potential. Why not, to go with catchy ads like instant.ly/yours and get thousands of potential clients, who are all shopping on-line most of the time anyway?